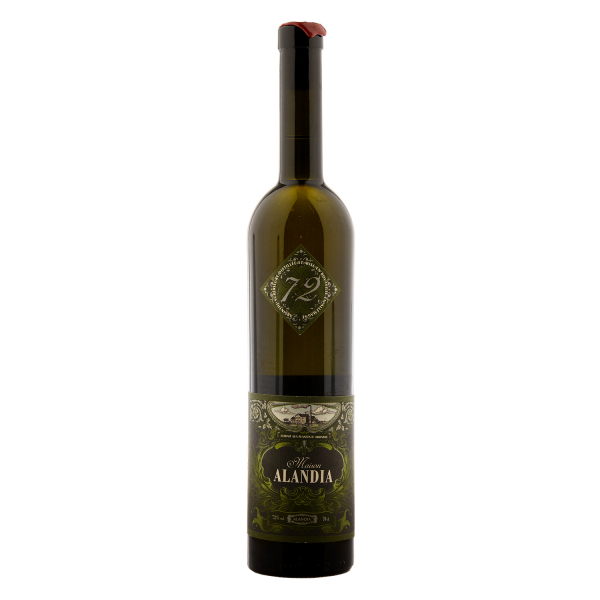 Absinthe Maison ALANDIA is distilled using 16 different herbs, including Artemisia absinthium, Pontica, Green Anise, Veronica, Angelica, Fennel, Vanilla and Coriander. Besides the complexity of the Absinthe recipe, much attention was put into the distillation process. Each step is hand-done in a small, family-owned German distillery located in the Bavarian Forest. Only 30 liters can be distilled in each batch and, just as in the old days, wood is still used to heat the alembic. Each Absinthe distillation runs for 10 hours, allowing all the herbal tones to be released. After distillation, additional herbs are macerated in the distillate to create Maison ALANDIA's poetical, natural green color. The final product is matured for several weeks to develop its complex body and full character. The taste of Pontica Wormwood is present when you drink this Absinthe, Anise is only in the background, together with a slightly sweet smack of Chocolate. One sip and you will taste why this Absinthe is something special: A Historical Dedication. Related links to "Absinthe Maison Alandia"
Customer evaluation for "Absinthe Maison Alandia"